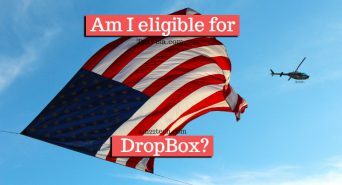 Am I eligible for US Visa DropBox in 2019? Open DropBox eligibility checker in new window. It is possible that you receive a form 221(g) green slip after dropping your documents in US visa dropbox asking to appear for fingerprints. Note: Children under 14 must submit a photocopy of both parent’s passport biographic information and valid U.S. visa page. Repeat travelers to the United States are allowed to get their US visa renewed without appearing for in-person visa interview at US embassy. This saves time and helps people plan their travel in a better way. Note that Using the interview waiver service does not guarantee visa issuance. In some cases, you may be required to appear for a visa interview at the U.S. Embassy/Consulate, for example, if you submit an incomplete and/or inaccurate application. Submit your application well in advance of your planned travel to allow for the possibility that a visa interview will be necessary. Eligible for interview waiver – How to use DropBox? If you qualify for interview waiver (no appointment), you will receive a submission letter containing a document checklist. Print one copy of the submission letter. Drop off your passport along with the listed documents mentioned on the submission letter at one of the 11 service centers. One copy of the submission letter – You will get it after you have submitted your DS-160 form. One photograph taken within the last six months (according to US visa photo specifications). Do not submit the same photograph that you used in your LAST US visa. They are smart and might reject your case if you use the same photograph and your case will be delayed. Supporting documentation – 1 set in original + 1 set photo copy. Children applying through interview waiver should submit photocopies of their parents valid visas and passport bio-page. Comments, questions and suggestions are welcome in comments. Me (h1) and my 13 yrs old son (h4) going to India in mid July and my wife (h4) coming in August 2nd week. We are all eligible for drop box. Can I first drop mine and my son documents soon we reach India? Or should we wait for my wife to come? You can drop documents as per your choice. But, i recommend dropping them all together. Thank you so much for providing responses. I am eligible for drop box and planning to visit India in the month of may. I am from Madhya Pradesh and the nearest US embassy location is Mumbai. But this time I will be in the Chennai during my trip, so I selected Chennai location while filling DS 160. While scheduling for the appointment, If I select Madhya Pradesh is my state of residence, the website automatically giving Mumbai for the dropbox location. Last time, when I went for my H1B stamping, I did select Madhya Pradesh as my state of residence, but when scheduling the appointment I had options to choose different visa locations and i chose Chennai for the visa appointment and got the stamping. But this time as I am eligible for dropbox, 1. Do i need to select Tamilnadu as my state of residence or Madhya Pradesh? or Can I drop appliaction at any location? 2. If my application requires further processing 221 g and ask for personnel interview, Where do I need to go, Chennai or Mumbai? Do you have a residence in TamilNadu? If yes, you can select it and schedule appointment at Chennai. The Dropbox location will also be chosen as per your residence state selection. If they call you for interview after dropping documents, the embassy location will be based on what you selected as your residence state. Officially, they allow choosing any US embassy as per your choice within same country. I am not sure why they have changed this process for dropbox. Thank you Anil for the quick response. I am from Madhya Pradesh and my brother lives in chennai. During my trip to India, I will be in chennai. So I want to use dropbox in the chennai and chennai embassy ( in case of interview) . Can I do that? As far as i know, there is no address verification done. So, you should be able to do it.